Our meat is sourced as locally as we can, and our quality beef, pork and lamb comes from farms in and around Walsingham. Poultry is from excellent Norfolk producers. 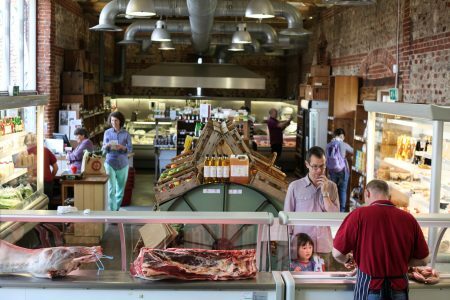 We have a team of skilled butchers in both of our Farm Shops who manage and prepare our meat to the highest standard. The team work hard to ensure that all of our customers get exactly the quality and cut they are after and no request is too much trouble.